My parent’s house, the one I grew up in, is filled with images of family. I don’t usually spend a lot of time thinking about my family history, but here I’m steeped in it. Today my mom pointed out a picture of my great aunt, Janet, with my dad as a boy. She made it possible for him to build a life here in the US. A picture of her friend, Eunice, who she asked to sponsor my dad has a prominent place on the wall. As kids, we always called her Amah, grandma. Pendant and letter from my grandmother. 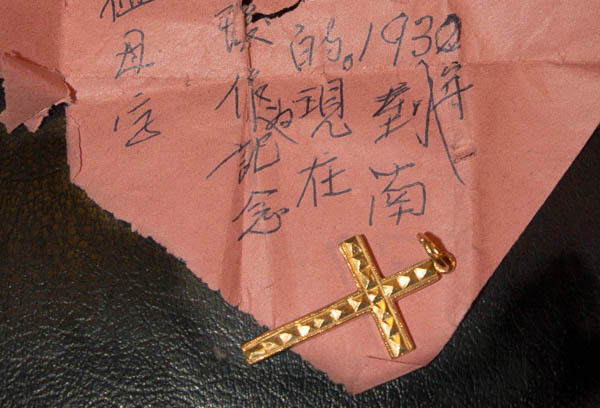 On this trip, my mother gave me a pendant that my grandmother left for me along with the note that she wrote. Add it to the list of reasons I regret not knowing how to speak, read or write much Chinese. Fortunately, my mother translated it for me so I know that in the note she describes how my grandpa gave this to her when she went to the South Sea to meet him in 1930, and says that she wanted to pass it along to me. The note itself is brittle and already torn from being unfolded in many places. I wish I’d known her better. There is a faded picture cube on the desk downstairs with a picture of me at 1-2 years old astride my favorite stuffed yellow bunny. I remember that bunny, and it makes me think of the stories about my imaginary friend, Cackle Sue. I have no idea if she cackled, or where that name came from, but my mom tells me she spilled milk and got me into trouble a lot. One of my brother’s favorite stuffed animals was sitting on my bed below the headboard that I always imagined was a guardian owl. I still do. I can’t help it. 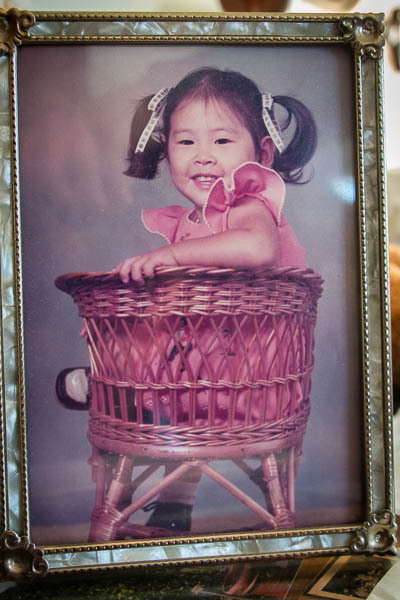 This old picture of me as a kid is sitting on the bedside table. At some point, when I was a few yeas older, I lost one of those pigtails to a friend who was playing barber. I had short hair for a long time after that. There is still a painting hanging from the closet door that my super talented next door neighbor friend made for me at some point when we were growing up together. I wish she’d thought to sign and date it. Her parents still live next door. My parent’s wedding photos. Cousins, aunts and uncles smile out from every surface. Pictures of me and my siblings playing on the swingset, blowing out birthday candles and posing for portraits in our high school letter jackets. No pictures today. Dad took a fall and wound up in the hospital. At first, the most worrisome thing is that he’s been getting dizzy a lot lately, and there didn’t seem to be a good explanation. But then, once we got to the hospital and they did a battery of tests, they discovered that he had hit his head (he said he didn’t), and that there was some intracranial bleeding. This is of particular concern because in the last few weeks he’s been diagnosed with atrial fibrillation and prescribed a blood thinner called Eliquis. So, although the amount of bleeding wasn’t extensive, there was significant worry that with the blood thinner, it could get worse over night. As near as we can figure it, the fall happened around 9am. We initially called the Mayo Clinic to see what could be done about his dizziness, and the nurse on call recommended a trip to the ER. It seems like we got checked into the ER shortly after 11, certainly before 11:30a. Then, we spent the day there waiting for tests, test results, a room to open up in the ICU for them to monitor him overnight. If we are lucky, the evening’s CT scan will show no additional bleeding, and they will be ready to release him tomorrow. 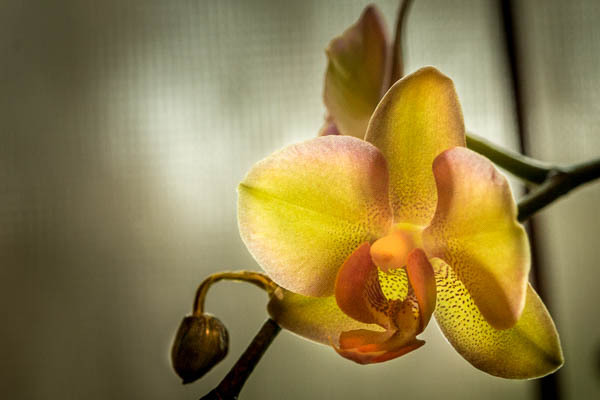 Mom and Dad have been growing orchids for a while. It’s been too long since I’ve been back to MN to visit my parents. This morning, we went for a walk around the yard to see all the new things since I’ve been here last. There are so many things. There are more flower gardens than there used to be, and more things in the gardens. 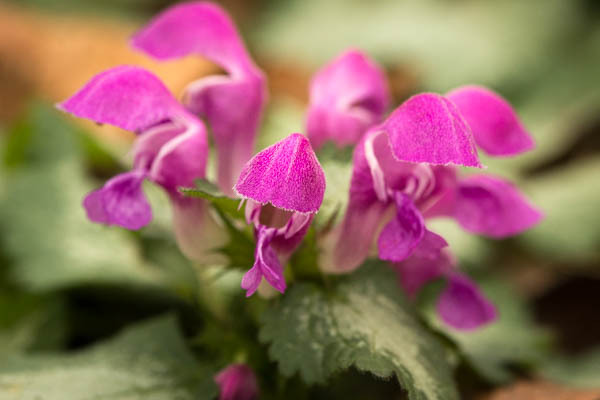 At this point, most of the flowers are past, but we admired the ones that are still blooming, talked about the ones that will bloom again this spring, the ones that are quickly taking over the shaded areas. I learned which flowers are the deer’s favorites to eat, and which ones were successfully saved with all kinds of crazy effort. Most of the leaves are gone, but there are still some flowers blooming in the gardens. Earlier this year a deer died right next to one of the flower gardens. There were no wounds or anything, but it was so big they thought that maybe it had simply died of old age. When they found it, it was frozen to the ground and looked like it had been there for a while. 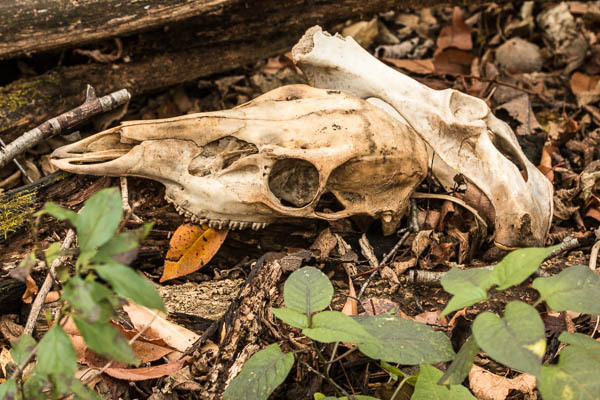 What does one do with an old rotting deer corpse anyway? They started calling around, but no one seemed willing or interested in doing anything with it. One person suggested that if they dragged it out to the road, the city would come to clean it up. Not only was that too far for octogenarians to drag a large deer, my parents were afraid of what the neighbors would say. Finally, someone found out how big the yard was. “Oh,” they said, “well just leave it there. Nature will take care of it.” So with a neighbor’s help, my parents eventually rolled this deer onto some plastic sheeting and dragged it further downhill into the woods. There aren’t any big predators in this area, but they were surprised at how quickly it disappeared. They saw a fox, and a lot of black birds. It was gone in a matter of weeks. I went to find it today. Remains of a deer who ate my mother’s flowers. She’s tough, people. Don’t mess around. The alarm went off this morning at 4:00 am after a later night than I had intended. I’m beat. I’ve spent the better part of the day traveling across the country, and hoo-boy is this one-post-per-day challenge turning out to live up to its name. Here’s something short that I’ve been thinking about for some time. I’ve been lucky enough to spend a bit of time lately with this kiddo and his mama. They’ve been teaching me some very important lessons. Celebrate everything! Every achievement, no matter how small, is better when you take time to recognize it. At some point, I decided that certain things would/should happen, and I stopped celebrating the moments that they did. This is a mistake. You can totally keep celebrating things after you’ve done them twice, or ten times or more. The world is filled with wonderful things. Yes, there are giant cliffs and waterfalls in Yosemite, but equally amazing are the leaves that fall in the path, milkweed seeds blowing in the wind, the fact that you can drop small stones and pine needles through holes in the boardwalk, and puddles. OMG, puddles. I should really spend more time thinking “Whoa! Look at that!” about the common things. Making noise is fun. Cool ways to make noise include: stomping on bridges and boardwalks, rocking loose manhole covers, pounding on railings with a stick. Hitting keys on a piano is pretty fun too, but cool noises go way beyond that. Dance more. Music optional. Enough said. Dogwood leaves covered in snow. 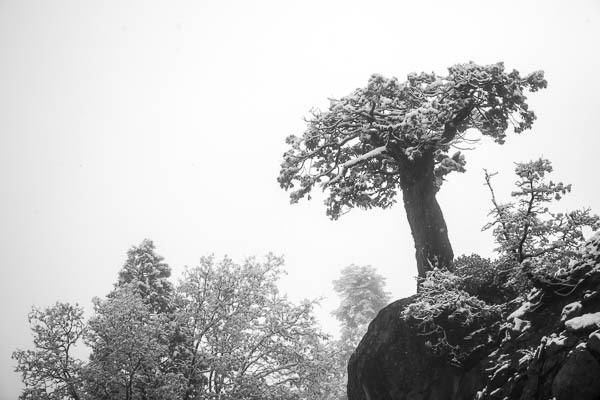 The first snow of the season at our house in Yosemite West is always a treat, and worth a quick mention. After a few years of drought, it’s even more welcome. 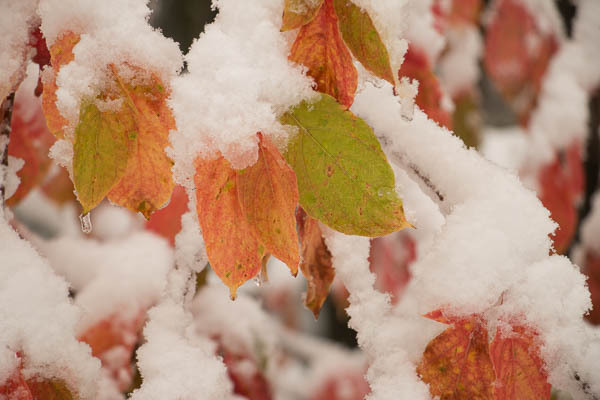 The dogwood leaves at 5000-6000 feet elevation in our neighborhood are still turning, and I loved seeing the contrast of the bright colors against the snow. Badger Pass is reporting 9 inches, which is also a good start. My co-worker, pointed out that the first snowfall of last year was about the same date, so this in itself isn’t going to get us very far, but hopefully it’s just the first taste of more snow to come. The storm wasn’t cold enough for snow to fall in Yosemite Valley itself, but from the valley you can see the frosty rim all around. 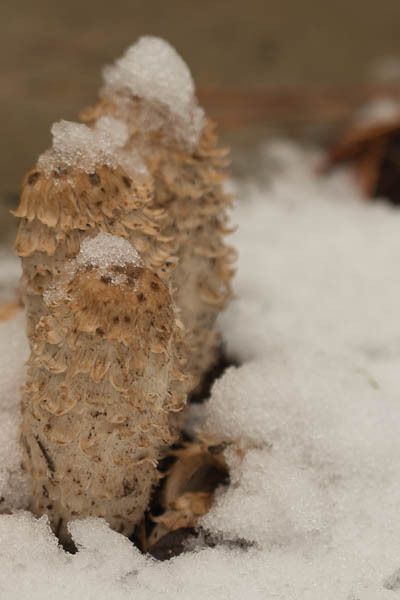 Shaggy Mane mushrooms from our yard, surprised by the dusting we received. The water in Yosemite valley is no longer gushing the way it was while it was raining, but it is still nice to see Bridalveil Fall flowing again. 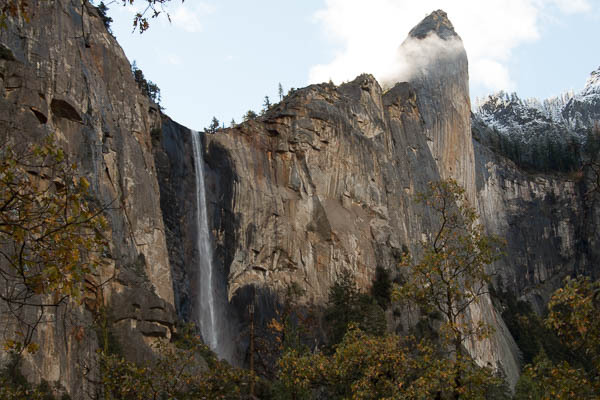 Lower Yosemite Fall is back in action! It started raining today before dawn and rained steadily throughout the day. I’d made plans with one of the coolest people around to catch up over lunch, and wondered how that was going to go. On a sunny day, we’d head out to the river, or someplace like that, but with the weather, I worried she might prefer to stay inside. I was eager to get out and explore, but it’s also nice just to catch up, so I was also prepared to find a dry spot. I shouldn’t have doubted. When I posed the question, she immediately suggested a walk. 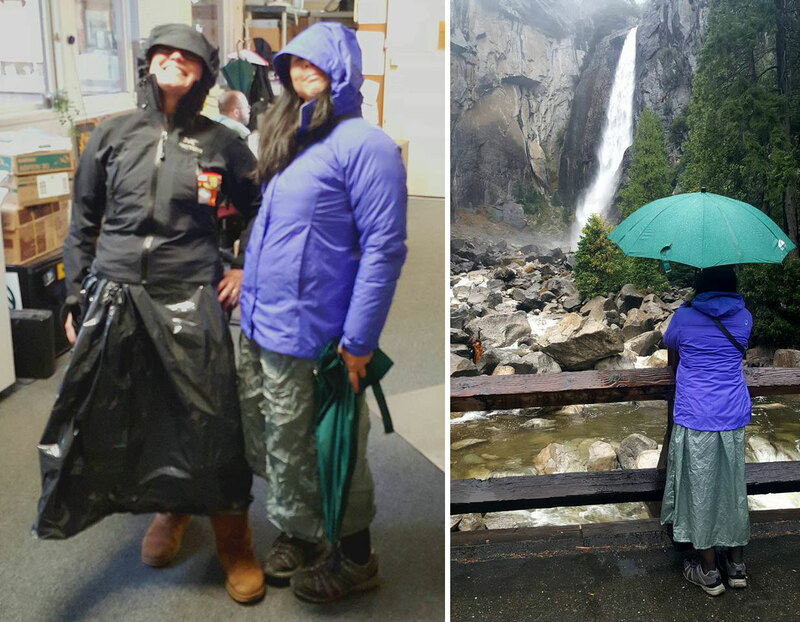 In addition to rain jackets and umbrellas, I pulled out my new rain kilt, R borrowed a trash bag skirt, and we headed out into the pouring rain. I don’t know what the fashionistas would have to say, but I thought we looked pretty cool. 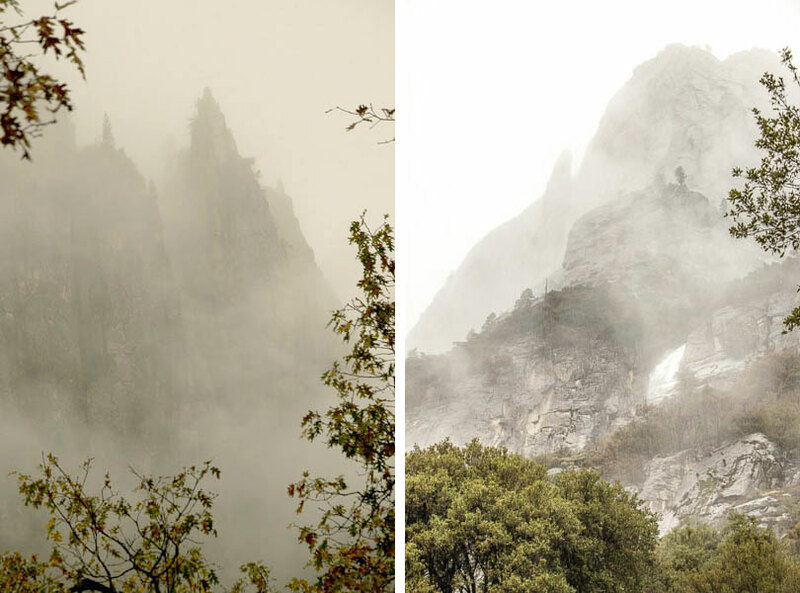 In Yosemite, never let the rain keep you inside. We had an incredible walk. Not only were the normal falls rushing again, but there were dozens of ephemeral falls cascading down the cliffs that I had never seen before. Plus, the clouds highlight cliffs in ways that make the familiar magical. I didn’t do a good job of capturing it on camera, but my memories will make me smile for a long time. 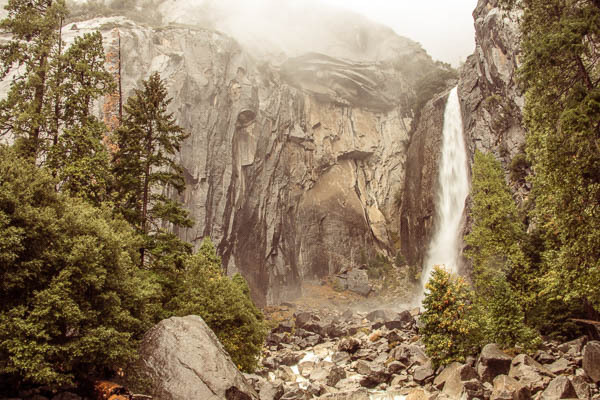 The cliffs near Yosemite Falls are magical in the rain. Do you see the giant ephemeral fall in the picture on the right? Last week, I was out in the rain with another friend, and her toddler, splashing through puddles and laughing at little kid antics. That was pretty awesome too. 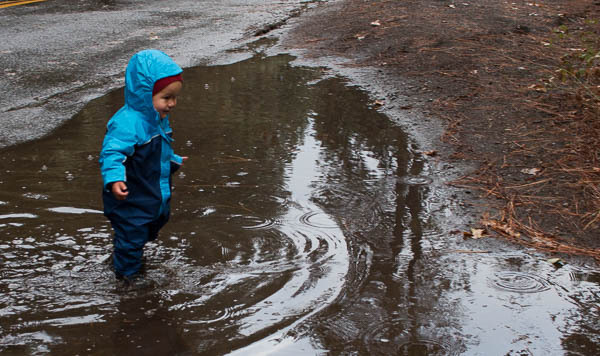 Relearning how much fun it is to splash in puddles from this little guy. People visiting the park are often disappointed when it rains during their trip. Little do they know that these are the times that the serious photographers jump excitedly into their vehicles to drive up to the park. The dramatic clouds and lighting show Yosemite off at her best. Plus, sometimes it’s just plain fun to splash around. Left: Co-workers alerted the kids will be here soon. Right: Handing out candy to the kids. So much as been going on this October that Halloween was here before I knew it. Non-costume plans had been made for the weekend, and although those changed, I still didn’t have costume party plans. 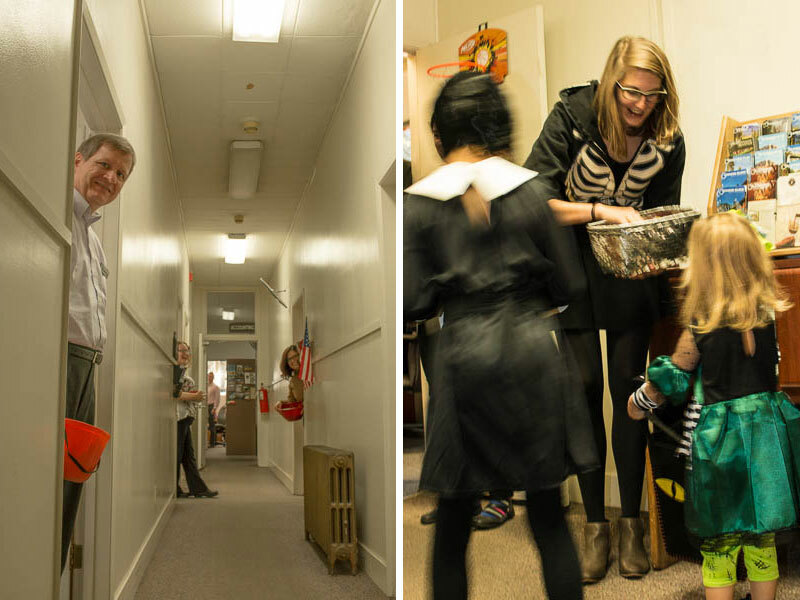 So, my single whirlwind dose of Halloween festivities was the parade of kids that come through the office each year. And when they come, escorted as usual by the Yosemite mounted patrol (What other kids get horses in their Halloween school parade, honestly?) People line up at the door to see the costumes, candy at the ready. There are two waves. The little kids in daycare come first. Some are held by their parents. Others surge forward on their own. One enterprising boy this year held his pumpkin out hopefully to every adult he saw whether or not they had any candy. The older Valley School parade is later in the day. Last year there were a lot of Elsas, but this year there was much more variety. In addition to this school parade, the kids also make the neighborhood rounds on Halloween night. 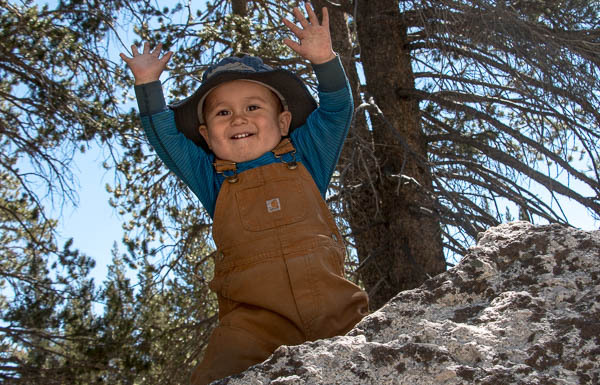 Yosemite’s small community seems like the perfect place to trick or treat. National Park’s are nice and dark but people know each other here so safety is less of a concern than it might be elsewhere. Besides, I know of one person who makes it a point of pride to offer full-size candy bars. Those kids must have quite the haul at the end of the event. If their parents aren’t clever enough to come up with a Pumpkin Prince-like story, those kids are probably buzzing on candy right up until the moment that they sit down to Thanksgiving dessert. Another great Halloween idea to remember – an early October costume exchange party!